The alto clef is a form of written music that differs from the more commonly used treble and bass clef. This clef, which places C on the middle line of the staff, is commonly used for instruments such as the viola and alto trombone. 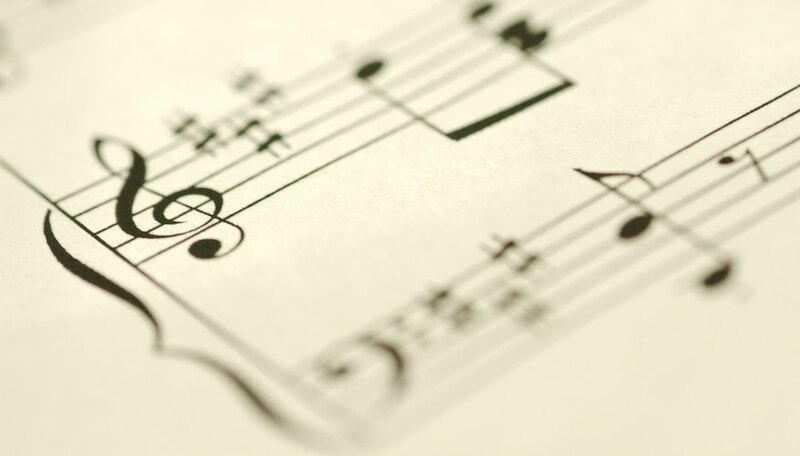 Even if you are familiar with reading the typical treble and bass clefs, you should also be able to interpret the alto clef in case you run across a piece of music written this way. Recognize that the third line is middle C.
Realize that the lines and spaces above the third line indicate notes above middle C, and that the lines and spaces below the middle line indicate notes below middle C.
Recognize the fourth and fifth lines as E and G, and the third and fourth spaces as D and F.
Recognize the first and second lines as F and A, and the first and second spaces as G and B. Use acronyms to help you remember the lines and spaces in the alto clef. For instance, you can remember the lines by reciting, "Five Ants Crawl Everywhere Gingerly (FACEG)," and the spaces by reciting, "Green Boats Drift First (GBDF)." Music lines and spaces are numbered from the bottom up. That is, the first line is the bottom line, the first space is the bottom space, and so on. Likewise, the fifth line would be the top line, and the fourth space would be the top space.